There might have been a time when small-business owners scoffed at the idea of Twitter. But with more users than ever and a significant segment of younger consumers using the service for what seems like every second of every day, ignoring Twitter any longer is sure to leave your business in the dust of your more technologically inclined competitors. But like most new advertising platforms, it’s not enough to just throw resources at the problem and expect results for your small business. In the game of Twitter, the 140-character limit is a tough restriction to get around when you have a perfected sales pitch. However, if you learn how to use hashtags, the most powerful commodity on Twitter, your odds of success are much higher. Check out these three ways you can supercharge your hashtag game today. What’s a hastag, really? 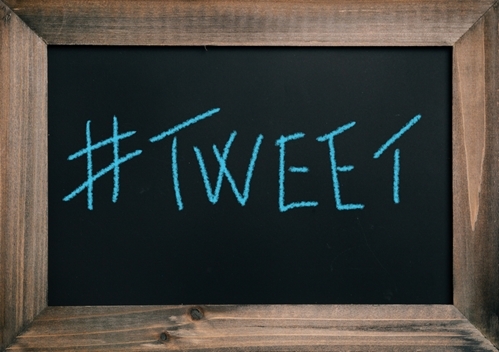 Throw a pound sign before a word or unspaced phrase, and Twitter users around the world can search for that exact tag to find what your small business is tweeting about. Technically, you could make an entire Tweet a 140-character-long hashtag, or you could throw in a dozen in the same message. However, Mashable explained that it’s best to keep your hashtags simple. This relates to both length and number. Hashtags should be easily searchable terms that your customers already know. While “ROI” means everything in the business world, you’ll want to translate jargon like that into parlance that the common person can understand. Limiting the number of your hashtags per tweet is also critical to success – six tags in the same post looks crowded and busy. Twitter emphasizes economy of language, and you’ll want to use as few characters as possible in your hashtags. 2. To borrow or to create? While these hastags will allow you to participate in conversations that other businesses are having with each other on Twitter, you won’t really differentiate yourself from your competitors if you’re using the same language they are. That’s why creating your own hashtag can be a great idea – imagine a distinct term your customers can instantly search for your messages by. However, creating your own hashtag comes with its own set of challenges. None of your consumers or business partners will know about it, so you really have to put the pedal to the metal when it comes to evangelizing your brand on Twitter. If a custom hashtag catches on, though, you’re just set yourself up to climb to the top of the coveted trending list on Twitter. While you might think of hashtags as a simple way for consumers top find you, think of them instead as a way for your brand and your patrons to find each other. That’s the magic of certain tags like “#FF,” which stands for “Follow Friday.” Each week, users who post this hashtag try to connect with other brands, people and organizations. While you might be throwing your hat into a crowded ring, adding a second hashtag that describes what your small business offers can thin the herd and help customers find you despite the large amount of traffic on the site every day. Perfecting your hashtag usage won’t save your company from bankruptcy, but it just might give you the final push you need to get over that sales speed bump you’ve been facing for a while. Why not give it a shot and come with with some new hashtags for your small business today?